If you firmly believe that Blue Lives Matter, having this Blue Lives Matter Thin Blue Line American Flag is a must. Support the law enforcement by displaying this unique flag outside your home. The flag is made of high quality 100% polyester mesh measuring 3ft x 5ft. 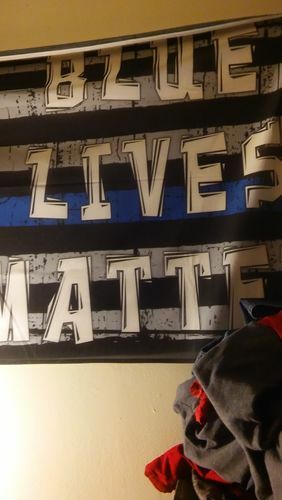 Show your love for our brothers and sisters and blue across the country by displaying this unique and meaningful flag. I have not gotten it up yet, deciding on flag pole or not and need to get a light.